At All Weather Temperature Control, we understand the importance of having the finest heating and cooling system to save your comfort in the hottest and coldest days of the year. That’s why we are here to guide you through the process of finding the HVAC system and indoor air quality products fit for the unique needs of your residential and commercial place in Long Island. Whether it is your first installation, or you’re planning to upgrade your existing HVAC systems, you can count on us for complete analysis and helpful recommendations. We offer Energy Star rated products as trustworthy as our professionals. We have first-class heating and cooling systems with high-end features and excellent performance ready to give you the comfort and saving you deserve. Our heating, air conditioning, and indoor air quality specialists are the best in the fields; you can never go wrong in choosing us to help you find the best equipment for your unique place. To sum up the many benefits of having the right heating and cooling system in your home, we have the terms COMFORT and SAVINGS. All Weather Temperature Control is aware of the comfort problems that take place with too large or too small units. When your HVAC system is just the right size, you should expect that proper heating and cooling is confirmed. Similarly, having the right comfort devices will give you great savings. A system that fits the demand of your place functions in its most efficient state, resulting in reduced energy consumption and low energy bill. We’re Here To Keep You Comfortable! At All Weather Temperature Control, we give you the finest products at the right costs. 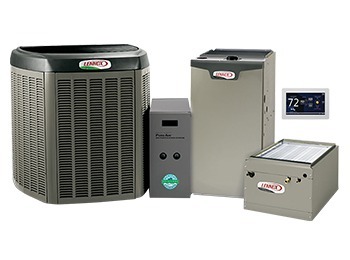 We are a Lennox Premier Dealer for 50 years now, but you can count on us to install and service all makes and models of HVAC systems. We have a line of Lennox heating and cooling products ready to ensure that you get the best comfort and convenience no matter what the season is. We put our name on the products we offer and since 1969; we’ve never felt a sense of regret for offering this equipment to our Long Island clients. HVAC systems are a great investment. If you’re planning to have one, it’s important to make sure that the product you get will give justice to the money you have invested. This is what we guarantee with the products and services we offer. Talk to our experts today!